Home / FILM POSTERS / MOVIE TRAILERS AND INFO / See the Official Film Poster of "Before I Go to Sleep" on Cinemas January 14! 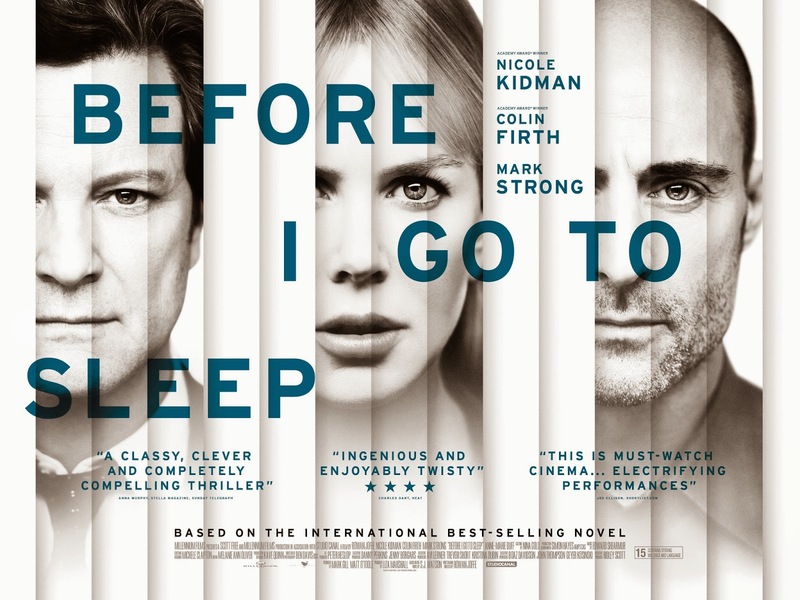 See the Official Film Poster of "Before I Go to Sleep" on Cinemas January 14! Forty-year-old Christine Lucas wakes up in bed with a man she does not know, in an unfamiliar house. The man explains that he is her husband, Ben, and that she suffered brain damage from a car accident ten years earlier. Christine wakes up every morning with no memory of her life from her early twenties onwards. Will Christine ever find out the truth? Before I Go to Sleep is a 2014 British-American mystery thriller film written and directed by Rowan Joffé. A film adaptation of S. J. Watson's 2011 novel of the same name, the film stars Nicole Kidman, Mark Strong, Colin Firth, and Anne-Marie Duff. Watch it on January 14 in cinemas!